Speech screening, speech intervention, classroom supports that may include whole class lessons, resources, or small groups for language/phonological awareness/literacy development, home programming at parent request. Speech, language, and phonological awareness screening, speech and language assessments, speech intervention, classroom supports that may include whole class lessons, resources, or small groups for language/phonological awareness/literacy development, home programming at parent request. Speech screening at teacher or parent request, speech and language assessment, speech intervention, classroom supports that may include whole class lessons, resources, or small groups for language/phonological awareness/literacy development, home programming at parent request. Speech and language assessment, recommendations to support in class programming for specific students, home programming at parent request. Connect families with outside agencies such as audiologists, pediatricians, ear, nose & throat specialists, dentists, optometrists, ophthalmologists, etc. A Pre-Referral must be completed and signed by the legal guardian. This allows the Speech-Language Pathologist to discuss the student's needs further. This may or may not include direct assessment or consultation. Can I request a referral for my child? To request a referral parents will initially speak with their child's classroom teacher or administration. 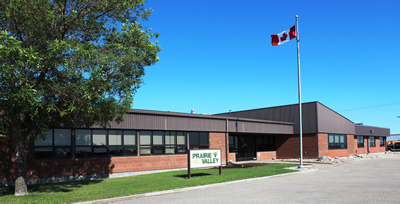 Parents will then sign the referral, consenting for the school to discuss their child's abilities with the Prairie Valley Learning Supports (PVLS) team (speech language pathologist, psychologist, social worker, occupational therapist, learning supports teachers, principal, and vice-principal). Your consent allows the team to discuss your child's abilities and come up with strategies/interventions to meet their needs. This plan may or may not include direct support from the speech language pathologist. The plan could include services from other disciplines within the PVLS school team. What does speech intervention look like? SLPs figure out what kind of language problem a student has. They determine what's causing it and decide on the best treatment. SLPs may help kids build skills by working with them one-on-one, in small groups, or in the classroom.